Poison ivy is a condition that occurs when a toxin called URUSHIOL comes in contact with the skin. It is a plant poison, which is considered one of the most dangerous natural poisons on the planet. The first sign of this condition is rashes on the skin along with severe itching. These symptoms are accompanied by swelling, the formation of blisters, and pain. Additionally, the effect of rubbing of the skin against this poisonous plant can also manifest as an intense sensation of burning, irritation, the formation of red bumps, and fever. The symptoms may appear after few hours to about seven days following the contact with the plant. The skin rash has a tendency to spread rapidly especially during the first three days due to the scratching of the affected area. 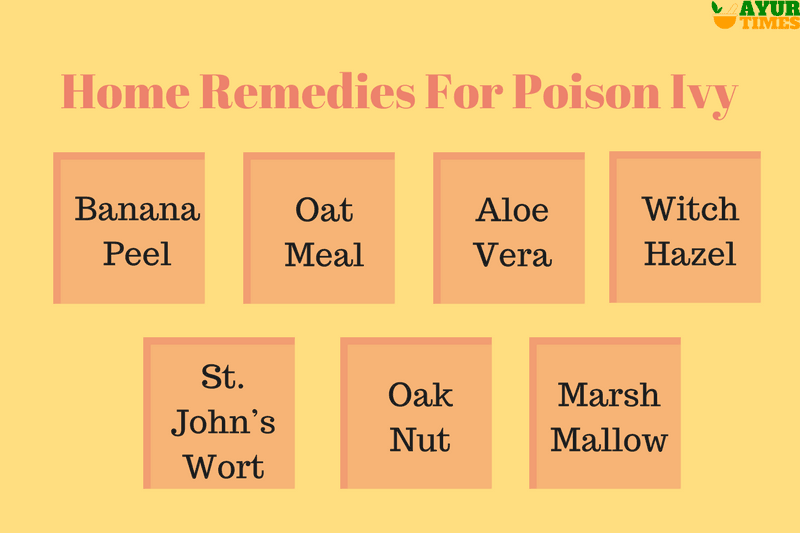 Luckily, poison Ivy, which is caused due to a natural plant poison, can be treated effectively with the help of a few natural home remedies given below. It also acts as a soothing agent and provides relief from incessant itching. The cooling properties of alcohol ensure prompt relief from the burning and stinging sensation caused by poison ivy rash. Take a cotton swab and dip it in alcohol. Gently apply the swab on the affected area. You may wrap the part with gauze. Do this 2 to 3 times every day for two to three days. Note: The beneficial effect of alcohol on the affected part is more when it is used immediately after coming in contact with the poisonous plant. It can slow down the spread of the rash and also minimize the extent of the rash and discomfort. Banana peel can work as an effective home remedy to get relief from itching, rashes and other symptoms caused by poison ivy. It works well when used immediately after the skin has come in contact with the plant. It has soothing properties, which help in relieving irritation and itching of the skin. It helps to reduce the discomfort associated with the condition. It also acts as a coolant for the skin and relieves burning and stinging sensation caused due to the poison. This helps to prevent scratching, which can cause worsening of the symptoms and a rapid spread of the rash, if not controlled well. This remedy is also beneficial for preventing the formation of blisters. It can also be used when the blisters have broken open to minimize the discomfort. 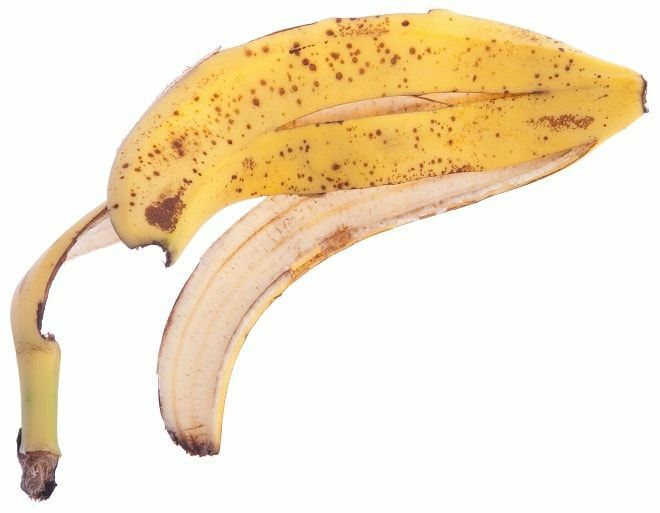 Banana peel acts as an anti-inflammatory agent. It prevents inflammation of the skin and minimizes the damage caused by the exposure to the poison. The anti-inflammatory activity of banana peel is comparable to that of some modern medications such as steroids like hydrocortisone, sedatives like PHENYLBUTAZONE and painkillers like DICLOFENAC. The hydrocortisone-like action ensures quick relief from itching. The PHENYLBUTAZONE-like action reduces anxiety caused due to the intense rash and the DICLOFENAC-like action helps to reduce pain. Peel the skin of a banana. Rub the inner side of the peel on the affected part of the skin for an instant cooling effect. Repeat the process twice or thrice a day. Note: It is preferable to use a ripe banana for better effects. 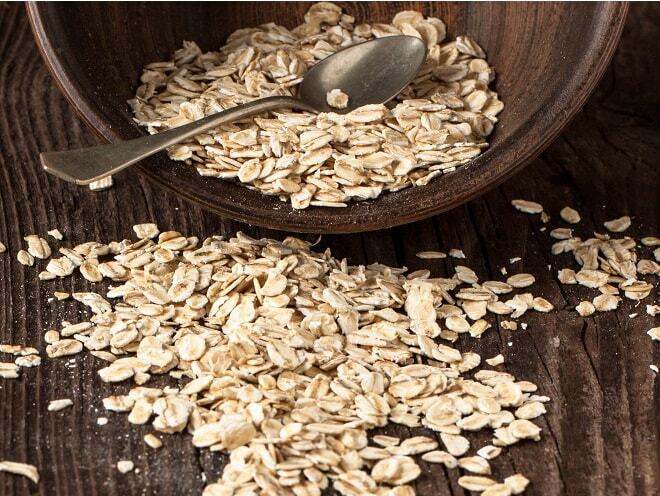 The phenols and AVENANTHRAMIDES present in oatmeal provide it with strong anti-inflammatory properties, which help to reduce inflammation caused by the reaction of the skin to URUSHIOL that is responsible for causing itching and irritation of the skin. It reduces skin rashes and is also effective in preventing blister formation. It also acts as an antioxidant and protects the skin against further damage that could occur due to the exposure of the inner layers of the skin as a result of scratching. Boil oatmeal in water. Let it cool slightly for a few minutes. Then, apply it to the affected part of the skin. Make sure that it is still just warm enough to ensure a higher effectiveness without irritating or scalding the skin. Let it dry and then, wash it off with plain water. This simple remedy will give you relief from itching. Aloe Vera is one plant, which has been gifted with varied medicinal properties that help in treating a range of disorders affecting the skin as well as other organs in the body. The anti-inflammatory action of Aloe Vera is highly beneficial in reducing redness and rash caused due to poison ivy. It controls the inflammation at the site of contact with the plant and limits the intensity of the symptoms when its juice is applied on the part immediately after the exposure. It can also reduce the symptoms from worsening or spreading if applied after the rash and redness have begun to appear. This plant also acts as an antibacterial agent and protects the skin against bacterial infections. It should be noted that the skin affected by poison ivy is prone to bacterial infections due to scratching, which exposes the inner layers of the skin making it easier for the harmful organisms to enter the skin and cause significant damage. This can be prevented by applying Aloe Vera juice, which, with its antibacterial properties, helps in destroying the organisms. Fresh Aloe Vera gel can give instant relief from pain and itching. The enzymes, sterols, and carbohydrates, contribute to the powerful anti-inflammatory activity of this gel. BRADYKINASE present in this plant inhibits the activity of thromboxane B2 and prostaglandins while ACEMANNAN, mannose-6-phosphate, and sterols such as LUPEOL reduce rash and redness. Slice a leaf of an Aloe Vera plant, and extract the gel. Apply the gel to the affected part. Use this remedy as many times as possible every day till the symptoms subside completely. Acorns or oak nut has antiseptic and antiviral properties, which are beneficial in the management of poison ivy rashes. It reduces the symptoms caused by this condition such as irritation of the skin redness, itching, and dryness. Pharmacological studies have proved the effectiveness of oak nut in reducing pruritus, and its antibacterial activity against bacteria like Staphylococcus sp. Boil a few fresh cracked acorns in water for a few minutes. Strain the liquid to remove the nuts and allow the water to cool down. Dip a cotton swab in the liquid and apply it on the rash. The probiotic organisms present in yogurt are beneficial not just for the health of the digestive tract but also for the health of the skin. It helps in maintaining the pH levels of the skin and thus, prevents irritation and discomfort caused by poison ivy. Regular application of yogurt or buttermilk at the affected site can help in getting faster relief from the symptoms of this condition. It brings the skin back to normal within a shorter duration of time. It also keeps the skin well-moisturized and thus, prevents dryness of the skin, which can trigger a bout of itching and scratching and worsen the symptoms. Mix equal parts of yogurt and water to prepare buttermilk. Add vinegar and salt to buttermilk and mix well. Rub this mixture gently on the affected part. Note: patients may feel a mild irritation after applying the mixture. However, it lasts for a few minutes and then, subsides. Although it is a little painful, this remedy will help dry up the rash quickly. Also, it will stop the itching and soothe the skin. Witch hazel or Hamamelidis contains active ingredients such as tannins, which help in reducing the symptoms of poison ivy. A hydro-ethanolic extract of Hamamelis bark, as well as the decoctions and infusions prepared using this plant, are useful in reducing local inflammation of the skin. Dab a small amount of Witch hazel extract on the affected area. Let it stay for half an hour and then, wash it off with plain water. Precaution: The use of this remedy in the children under the age of 12 years is not recommended. Marshmallow or Althaea Officinalis provides an effective relief from the symptoms of poison ivy. The active compounds in this plant such as the mucilage polysaccharides like GALACTURONORHAMNANS, ARABINOGALACTANS, ARABINANS, and GLUCANS help in protecting the skin against the damage by the poison. The extract of the marshmallow root allows for the stimulation of phagocytosis, a process, which helps in eliminating bacteria at the affected site. This helps to prevent infections and the resulting worsening of the symptoms of poison ivy. It also helps in stimulating the release of leukotrienes from the neutrophils thus producing a natural anti-inflammatory response. The anti-inflammatory activity of marshmallows can also be attributed to the release of cytokines like interleukin-6 from the monocytes. Shred the marshmallow roots and mix it with warm water to form a smooth paste. Apply this paste on the irritated areas as and when needed. Jewelweed or Impatiens Biflora has been commonly used as a first aid treatment for poison ivy symptoms. Interestingly, Jewelweed grows in the regions known to be a habitat for poison ivy. This makes it a highly convenient and easily available remedy that can be used instantly after the exposure of the skin to poison ivy. Crush the stem of the Jewelweed plant to extract the juice. Rub the juice on the affected part of the skin. 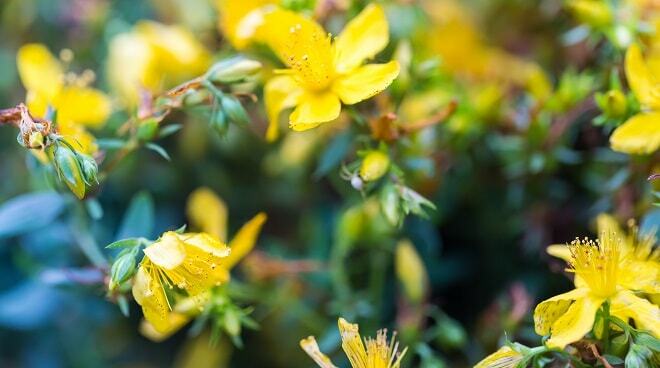 St. John’s Wort or Hypericum Perforatum is a potent herb containing strong anti-inflammatory and antibacterial properties. This herb is revered for its action in reducing the symptoms of major skin disorders including poison ivy, dermatitis, and acne. The characteristic compounds present in this plant are PHLOROGLUCINOL derivatives such as HYPERFORIN and ADHYPERFORIN, flavonoids like AMENTOFLAVONE and HYPEROSIDE and NAPHTODIANTHRONES like HYPERICIN. These components work together to relieve the symptoms of poison ivy. The extracts of this herb have exhibited a strong anti-inflammatory activity in one study, which was evident by a reduction of the croton-oil-induced edema in the ears of mice. The anti-inflammatory activity of this herb is considered comparable to or even more potent than that of the commonly used painkillers like INDOMETHACIN. It provides relief from pain and burning sensation caused by poison ivy. Patients can apply the diluted extract of St. John’s Wort on the affected area. It should be applied three times daily till the symptoms resolve completely.